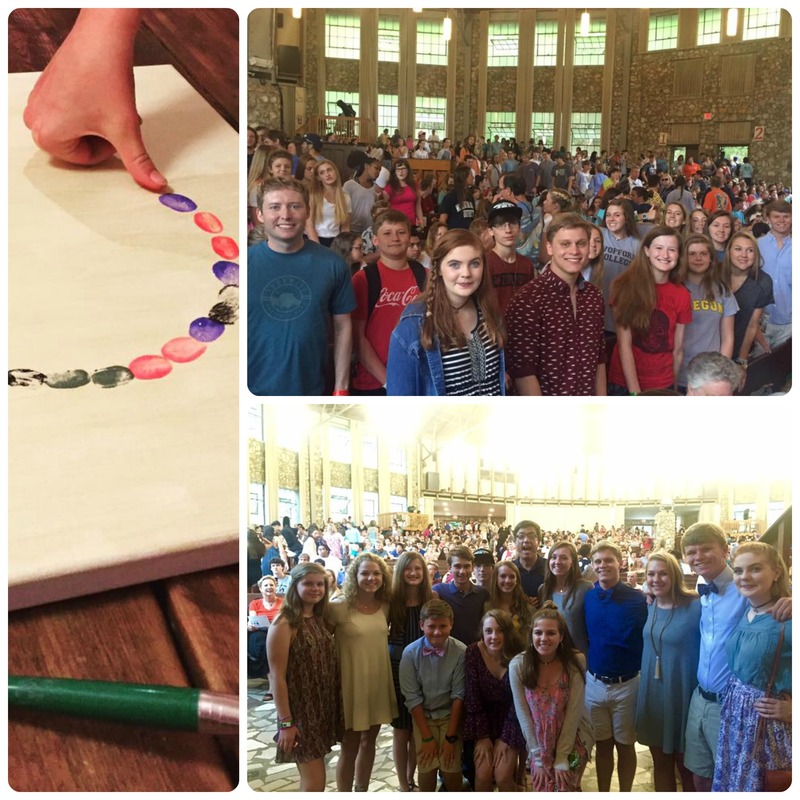 Welcome to Presbyterian Youth Connection! PYC is a place for all 6th-12th graders to connect to the Church, the world around them, and each other. The doors will be locked at 6:15pm on Theme nights. Youth arriving late may call the cell number on the door to be let in. Other nights, youth may continue to enter at the Youth Center. Chat it up with advisors. Check in with your peers to see how their week went. Catch up. Drop $5 in the basket for dinner and enjoy a great meal! Give yourself fully to programs, discussions, games, and your community. We close each night at PYC with prayer. Take it to heart and learn to pray for one another. Pick up will happen in the parking lot. Please note that there will be traffic backups during pick up for the first few weeks (and maybe longer). Bring patience! Do not ask your youth to meet you at a different location. They will wait for you with the group at the UPC parking lot. PYC meets each Sunday from 6‐7:30pm, starting in the fellowship hall or youth center, unless otherwise noted. Dinner is $5 per person. Sept 23: PYC Family Night in the fellowship hall. Come and hear about the new PYC model for this year! Dinner is catered and the cost $10/person and $30/family. Oct 7: Community Night – Counter Cultural Community, 6th-12th graders will meet in the Fellowship Hall for dinner, games, and FUN! Oct 10: Last day to sign up for small groups! Oct 14: Engage Night – Middle and High Schoolers will meet separately starting in the Youth Center and Youth Room (136), will eat in designated areas and will engage our theme in age appropriate ways. After Dinner, High School will split into small groups for discussion. Jr/Sr group will meet separately after dinner. Friday, Oct 19: Middle School Night Out – 6pm-10pm – drop off and pick up in the UPC parking lot. Oct 21: Table Talk – High School Only – College Night! What does it mean to plan, prep, and apply to college these days? Kristen Hiemstra, former high school counselor and current consultant and Patty Baum, who works in the UNC admissions office will join us for an inside look at staying sane while going for what you want. Nov 3: High School Stargazer Paddle on the Haw River, $45 including dinner. Meet at UPC at 4pm, Kayak 5-8pm, Pick up at UPC by 9pm. Nov 4: Community Night Day – PYC 12:00-1:30pm Calling: Who and What are you called to Be? 6th-12th graders will meet in the Fellowship Hall for dinner, games, and a short theme introduction. Youth Choir Musical tryouts will begin right after PYC. Nov 11: Table Talk/Grade Group Night (no 8th grade PYC): After a separate middle and high school meal, each Middle School grade will meet up in a small group to dive into our November theme a bit deeper. Our high schoolers will have a separate group. Who and what does God call you to be? How does that stack up with what the world tells you? Jr/Sr group will meet separately after dinner. Dec 2: Community Night – Nativity: What is the different between the story we hear in books and movies and the story of the gospels? What’s the real story of the birth of Jesus and why is it important for us today? Dec 16: Christmas Caroling – meet at the Carol Woods Health Center at 5pm. Pick up is at 8:30pm at the Vandersea Home. Jan 20: Grade Groups: After a separate middle and high school meal, each grade will meet up in a small group to dive into a January theme a bit deeper. Jr/Sr group will meet separately after dinner. Jan 27: Small Groups – look in your email for a message about meeting time and location. Feb 10: Youth Sunday Planning – Separate middle and high school groups will work to think about the meaning behind what we do in worship and how that might look on Youth Sunday. Deadline for ASP balance ($285) and forms. Feb 24: Small Groups – Check your email for meeting time and location. Mar 31: Small Groups – Check your email for meeting time and location. Apr 7: Community Night Day – Documentary “Poverty, Inc.”, noon-2pm, Lunch included for $8/person. Apr 28: Small Groups – Final Party for all Small Groups – Show us what you’ve done this year! 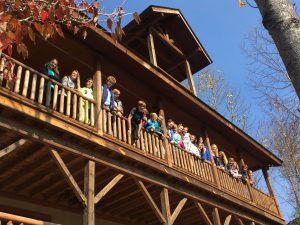 UPC’s Confirmation Retreat is THE way to solidify bonds you’re your fellow confirmands in the beautiful setting of Montreat, NC. Our high schoolers plan all aspects of this event including our keynote and worship times. This year, we’ll explore the theme Outside the Lines. What lines define us? When have we felt excluded? When has coloring outside the lines made us feel empowered? We’ll study the Good Samaritan, The Beatitudes, and the Women at the Well as we explore lines in our own lives and culture. Join us in Montreat to talk through these questions and many more. We’ll hike, craft, and have tons of fun with one another in this place set apart. The Vans will depart at 5:30pm on that Friday. We will return to Chapel Hill on Sunday around 2:30pm. Money for supper on the way there and lunch on the way home. Questions to Consider Where do we draw lines? What lines exist in our everyday lives? How have lines defined/comforted you? Why are lines comforting to others? How do lines divide people? How do lines inhibit your ability to see others? How do we unify God’s creation? How did you see society’s lines during the afternoon service work? What divisions do you see in Christianity? How can we honor God’s call for community even with our differences? How do we take this home? 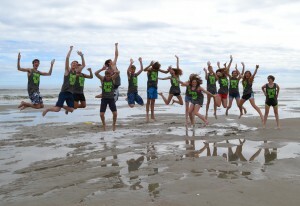 All High Schoolers are invited to attend the high school retreat at Ocean Isle Beach. The purpose of this retreat is two-fold. One to study Sabbath and what it means biblically and the other is intentional Sabbath time. We will not do homework but will spend time resting, feasting on good food and friendships and making time to listen for God. Join us for this special weekend together! THE MISSION OF THE PILGRIMAGE is to help young people and adults connect their faith with social awareness and action. Through a pedagogy based on service, interactive programs and reflection, we seek to embolden and empower young people and adults toward lives that strive for a more equitable and just world. Each year DC sees our highest rates of homelessness in the US. 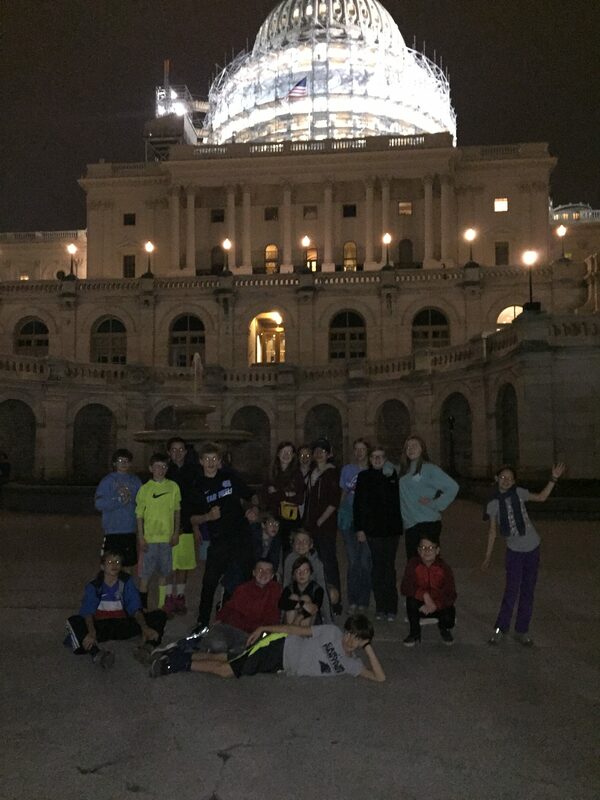 This trip helps our middle schoolers open their eyes to many of the root causes of poverty and homelessness in the US. We work directly with the homeless population of DC, serving in shelters and soup kitchens, getting to know the individuals behind the statistics. This trip involves a lot of walking, staying with the group and following directions. We have long days and late nights but go to sleep feeling good about how our energy was spent. Youth who attend will come home with a new sense of what it means to love our neighbors. 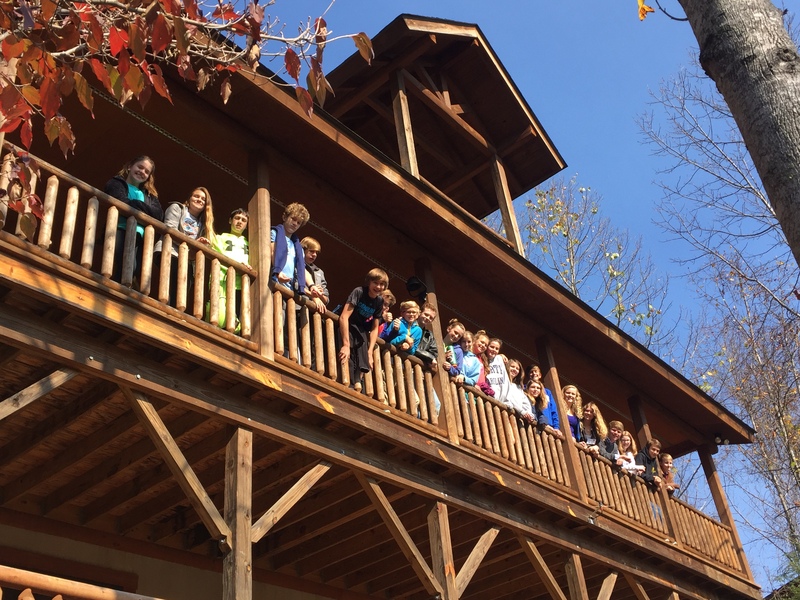 Montreat Youth Conferences are planned by youth, for youth. You will experience music, energizers, keynote, worship and small groups that are all geared specifically for your developmental needs. This week set apart will nourish you spiritually and help you grow in ways you never imagined. You will meet new friends as you worship with 1000 other Presbyterian teenagers. This place and this conference can be life giving and life changing. 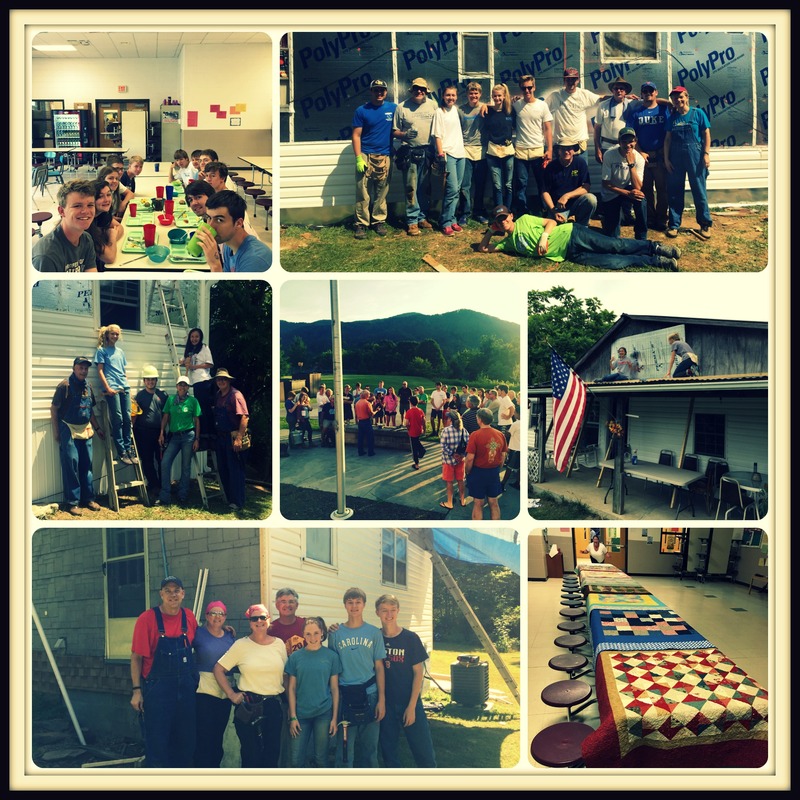 On ASP, our youth and adults work together to help make homes in rural Appalachia warmer, safer, and drier. We all gain a better understanding of poverty in our own state and learn what it means to serve alongside and for our brothers and sisters in Christ. This trip means sleeping on the floor, getting dirty, and cold showers. It also means life changing transformation and faith formation for all who participate. Massanetta Springs Middle School Conference is a place where middle schoolers can experience faith in new ways through music, recreation, keynote, and worship. Middle schoolers will enjoy their first opportunity to meet hundreds of other Presbyterian youth their age as they explore their faith and grow in community with God and one another. This conference is the perfect way for youth to begin to understand the value of our larger Presbyterian community. Here’s all you need to know to plan for your PYC meal. Remember that your meal for PYC is an act of service and a way to show our youth how to serve one another. Providing meals for PYC is a family event. WHOLE families are expected to participate as this helps youth of all ages understand what goes in to preparing a meal for a large group and increases the gratitude for every meal they receive at church. Absolutely no tree nuts or peanuts in any of our food and we do have a couple vegetarians. We also have one high school youth advisor with an allergy to onions. If a portion of whatever you’re making could be left onion-free, it would mean a lot. We have one youth who is allergic to peanuts and tree nuts as well as all beans/legumes/chickpeas and shrimp. Just be sure to read labels. If what you’re making can’t be bean/legume/chickpea free, just let Kim know so that we can accommodate. Also, putting the food labels out so they can be read by youth is helpful as they are learning to manage their allergies on their own. Thanks for going the extra mile to include everyone in our meal together! We don’t want youth to have to worry about any food at PYC and eating together is meaningful for all. We will eat just a few minutes after 6pm and you can use the bar in the fellowship hall kitchen as the buffet on Theme Nights or the bar in the youth center as the buffet for middle schoolers on other nights. Beverages are typically water and lemonade (you’ll need to buy the mix). No soda! Also, the kitchens are lacking in large pots and pans. Plan to bring big or specialty stuff from home if you’re cooking at UPC. Leftovers can go home with you or you can leave it in the fridge for UPC staff. Be sure to send Kim a quick email if you leave it in the fridge. Save all of your receipts and be sure to shop frugally. Put out a basket for youth to put their $5 at the start of the line. After youth go through the line, you can see how the cash and the receipts match up. If the cash isn’t enough, just leave it and give me your receipts and I’ll get you reimbursed if you like. Or you can take the cash in place of reimbursement. Donated food is greatly appreciated. You will have access to the Fellowship Hall kitchen and the youth center kitchen if you need it. The Fellowship Hall kitchen has a warming drawer in the bottom of each stove. All of the paper products (plates, cups, napkins, forks, etc.) are in the closet beside the fellowship hall kitchen. You won’t need to purchase that. We never know how many to plan for. Kim will email you Wednesday before you cook to give you a number. We are typically around 60-70 in September/October, 60-65 in November/December, and get close to 45 in the late Spring. Middle school cooks will use the Youth Center kitchen and Middle Schoolers will eat there. Use paper products from fellowship hall. There are two stoves and room in the parking lot for a grill if you’d like to bring one from home and cook out. Both will provide their own meal and lemonade. Both groups will eat in their designated areas at 6pm. High Schoolers will cook for themselves or eat on Franklin St.
PYC Small Groups are focused on building relationships and community through a shared experience. Small Groups are multi-grade groups based on interest. Youth will commit to a group for 7 sessions during the year, doing a new kind of activity each time, building bonds that may not be able to occur in a typical church setting. Youth and adults alike can grow in a unique relationship with one another that encourages both to be vulnerable in their walk of faith as they enjoy shared experience. Small groups meet on Oct 28, Nov 18, Dec 9, Jan 27, Feb 24, Mar 31, and April 28 unless otherwise noted. Some small groups will change dates or locations so please check your email for the latest information. Get moving along the area’s best trails as these adults expertly navigate along Bolin Creek, the Eno River, and other off the beaten path. Youth will explore nature and their faith as they immerse themselves in the scenic beauty our world offers. Meeting Time: changes depending on weather and location; generally meets Sunday afternoon approx 2pm or 3pm. No superhero costume required! Just bring a heart for serving others and learning about justice in our world. These youth and adults will work together to serve through organizations like Habitat and Table or Farm Church and IFC. They will learn what Justice looks like in many forms and will be challenged to live a life that seeks to serve others. Location: Fellowship Hall Kitchen, Enter at 110 Henderson Street. Location: UPC, Room 221 (4th grade Sunday school room). Enter through Dunham Hall. Nothing says love like cookies fresh from the oven! But baking can go so far beyond that to bring joy to others. This group will turn simple ingredients into treats that will warm the heart and spirit. Movies have a way of moving us and helping us see points of view that we may not have otherwise experienced. This group will watch movies and discuss how they help shape our views and our faith. This group will usually meet on Saturdays and work to improve living conditions at a Habitat home in need of repair. What does it mean to provide shelter for a family? This year will be spent exploring that question and finding joy in swinging a hammer and being a good neighbor. Location: on location at the home we are repairing. This group will gather for fun and fitness! Do you love to work out and think the only way to do it right is to do it with friends? This group is for you! Pushups, Burpees, jumping jacks, and high knees will seem like fun with these leaders in charge! Working out not your style? Join this group and try your luck at Sorry, Operation, Settlers of Catan, or any number of board games from your childhood. This group will have a great time challenging one another and enjoying some friendly competition. PYC is built on the Five Intentions of Youth Ministry set forth by the PC(USA).